Less space needed for transport. Easy handling while pushing & carrying the bike. 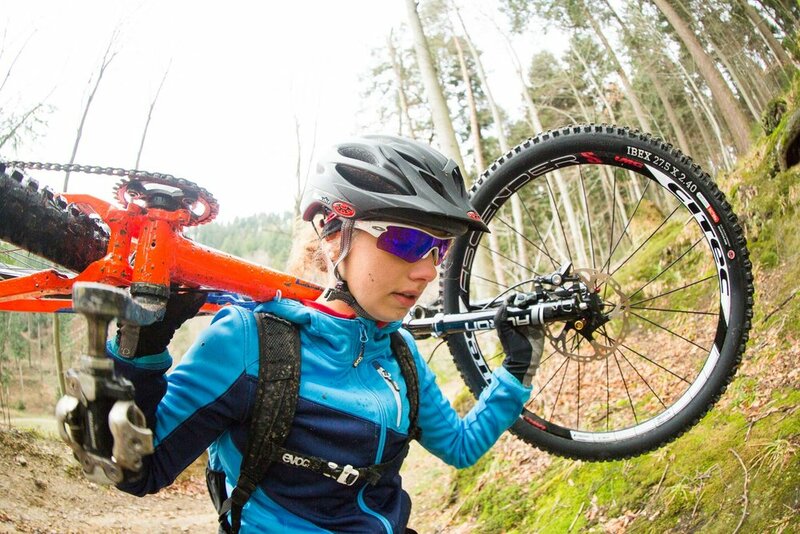 With the leveLOC fork travel adjustment you can easily reduce the travel of your fork by up to 80 %. With this setup you will easily reach the the trail head by pedalling. with a front faced fork crown.